Hi everyone I'm Jack Red, I want to something very clear with everyone. I wasn't sure during my early YouTube years about showing my Sega passion. It is because of this I actually stayed away from games I really wanted to talk about. So I decided to finally rip lose by reviewing Shinobi Genesis Trilogy. I did need to clear something up first for those that don't know. Shinobi 1 was never released on Sega Genesis. Originally an arcade game with some ports including SMS & NES ports. I got to play it for the first time in Sonic's Ultimate Genesis Collection. I felt if I'm going to do all three Genesis Shinobi games. I should as well review the original Shinobi game for old time's sake. Basically I'm reviewing four classic Shinobi games in one blog. Very recently I gave Joe the top spot in my Top 10 Underrated Sega Characters list. Not to be confused with other games with the same title. 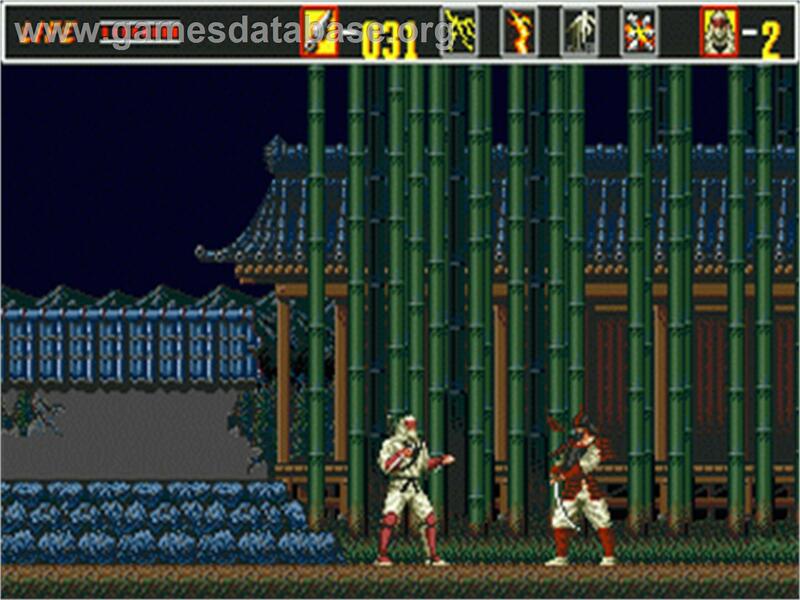 The original Shinobi was an arcade classic. You play as Joe Musashi whose taking down an organization led by an mysterious figure. In this game you must rescue people to complete most levels. In other levels you only need to beat the bosses. You only have your feet & shurikens as your weapons. If you know where to look, you could use special moves that could help you. This game requires taking your time & memorizing every level. Especially the last few levels because Sega at this point removed your infinite continues. They did it to help make you an better Shinobi player. Surprisingly great job in the audio department for it's time. In some versions it's no longer majority to rescue people. Instead if you chose to still do it, you'll get upgrades including bigger health bar. Oh yeah in the original arcade game you hit in one hit. But in SMS & NES ports, you got an health bar. Of course I must talk about the special stages. There isn't any point of doing them except for getting more points. It's almost impossible to hit every ninja. Easily one of the best hidden games within Sonic's Ultimate Genesis Collection. Just like Shinobi 1, don't confuse this with an similar title terrible Shinobi game on GBA. The Revenge of Shinobi aka Shinobi 2 is one of the original Genesis games. They took what was great about both arcade & SMS version of Shinobi 1. But did an amazing job improving on it to make this impressive sequel. Again you are Joe taking on another organization. This time you have to worry about all kind of things. I'm talking Godzilla, Batman, Spider-Man and Terminator as bosses. Only one of them Sega did licensed but it took an while for them to fix these problems. What I mean by this is there exists several versions of the same game with changes. More recently an few years ago Sega finally started porting this game. Once again Sega did an incredible job in the audio department. It's a lot better than Shinobi 1 & easily the best among the original Genesis games. This game is widely known for being difficult especially late in the game. Every boss fight is done better than Shinobi 1. Not only memorizing but skills will be tested by some of the later bosses. The Revenge of Shinobi adds more special moves that you still need to find most of them. Very good level designs from start to finish. Also you can get one of two endings both determined by what you do during the final boss fight. This is hands down one of the absolute best video game sequels I ever played. Like ESWAT another Genesis game, this is an loose adaptation of an Sega arcade game. Unlike ESWAT, Shadow Dancer didn't change too much in comparison. 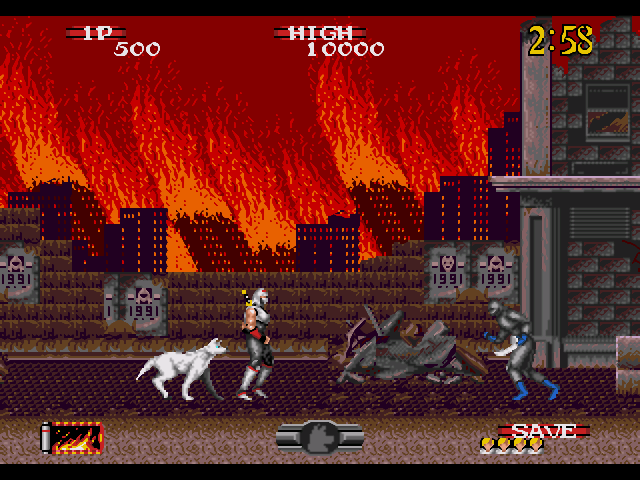 Originally in the arcade version you play as Joe's son accompanied by an dog taking on an organization. Instead of rescuing people, you have to disarm bombs. Although this got a lot of praise. most agree the original Shinobi was better. Sega decided to alter it's Genesis port that ended up getting more praise than the original Shadow Dancer. Once again you are Joe with an dog taking on an organization. Just like Shinob 1 & original Shadow Dancer, you will die in one hit. You can get special moves if you are skilled enough. Also like Shinobi 1, Joe must rescue people to complete most levels. I do prefer the bosses of this game as they do challenge you more. It's more difficult to determine some of their patterns & little room of error. Especially in the final section of the game. You have to play as best as you can to make it to the final boss. Good news is most of these levels are short. Bad news is each one has an different challenge that makes memorizing each one more difficult. The final boss will keep sending ninjas after you. His head will go up & down at several points. Sadly you have an few seconds to hit his neck area. This is the only area of the boss you have hurt. As this boss fight goes on, the ninjas he summons gets more difficult. Sega did an great job in the audio department it is a little better than Shinobi 1's but not as good as The Revenge of Shinobi's. Finally I must talk about the special stages. It's done differently from those of Shinobi 1. Instead of you being look across throwing shurikens. You will be falling while throwing shurikens as other ninjas will jump their way up. Now there isn't much of an reason to do this. If you somehow hit all fifty of them, you get an extra life. Shadow Dancer is still an amazing Genesis game. I do feel it's the weakest of the Genesis Shinobi Trilogy. But it's isn't far behind the other two games like how Streets of Rage 3 would be in it's case. Yet both games are a lot better than Golden Axe III god Sega shouldn't ever made that game. To a lot of people this is their favorite Shinobi game. To others it's either the original Shinobi or The Revenge of Shinobi. Regardless Shinobi 3 is hands down one of the absolute best games on the console. It improves on everything The Revenge of Shinobi had done. Although not as difficult as The Revenge of Shinobi, still has it's moments. Shinobi 3 really knocked it out of the park with it's soundtrack & sound effects. It's really good for both Genesis & Shinobi standards. 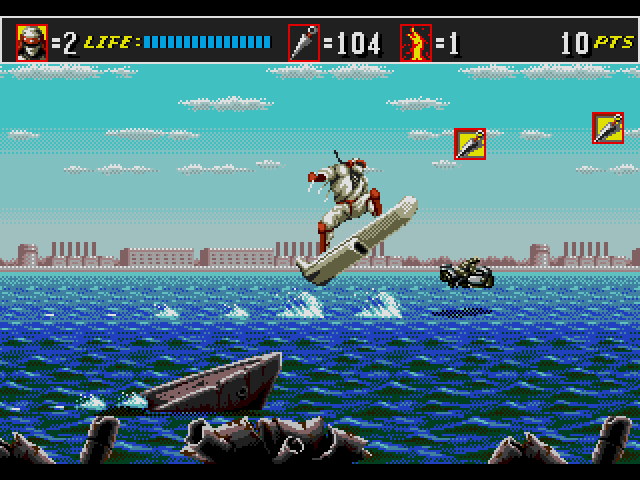 You play as Joe taking on the same organization presented in The Revenge of Shinobi. Honestly the level designs blows me away more than The Revenge of Shinobi. Now majority of each section has two bosses you must beat. I love riding an horse & surfing on an board wait why does that sound familiar coughs "TMNT". Each level not only tests you like The Revenge of Shinobi but makes sure to not push too far. Most of these bosses are really fun to go against. I am very surprised that Mechagodzilla is in the game. Shinobi 3 is the best of the Genesis Shinobi Trilogy. It stays true to the Shinobi series while being refreshing & unique in it's own way. If you own an Genesis & never owned this before. What are you doing, go out & buy this master piece as soon as you can. I hope you guys enjoy my blog, if you want me to talk more Sega. I will in the best possible way to get my point across. Within an blog that's meant for fellow Sega fans like myself. So I'm Jack Red & I'll see you all later.